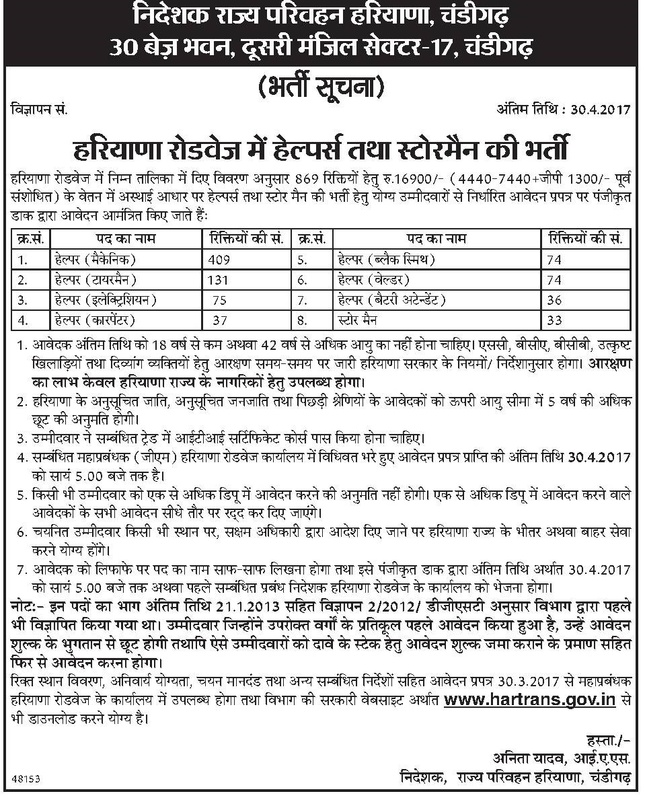 Haryana State Transport Published Job Advertisement For Helper & Store Man Posts, Kindly Request To All Candidates That Read All Important Content Of This Job Carefully Before Applying For This Job And Last Date For This Job Is 30 April 2017. Age Limit - Candidates Applicant Age Should We Between 18-42 ears. Age Relaxation As Per Rules Will Be Applied. For More Information On The Age Of The Posts Published Advertisement. Qualification For This Job :- (ITI) Valid For This Job,For Whole Information About This Job Read Published Advertisement Copy given below this post.